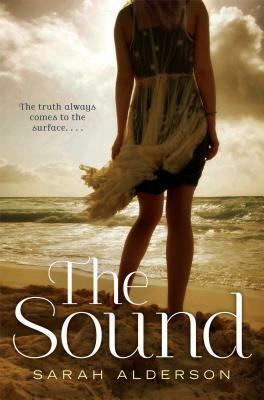 The Sound follows Ren Kingston a teenage girl who takes a job nannying for a family in Nantucket for the summer. Throughout the summer Ren discovers secrets about the wealthy family's on Nantucket, may fall in love with somebody unexpected, and steps right into the path of a serial killer. The sound is set in Nantucket making it the perfect atmosphere for a summer beach read. The setting added charm to the book. I also liked how Alderson showed us into the world of the wealthy Nantucket summer goers but also let us into the world of the year round locals. It added interesting contrast and diversity for the book. I enjoyed the relationships in the book too. The growing chemistry between Ren and apparent bad boy Jesse added some nice steamy aspects to the book. Their banter and attitudes towards each other also added for some fun in their complicated relationship. Romance aside I also really enjoyed the relationships between Ren and the family she works for. I specifically loved the dynamic between Ren and Brodie, the little girl she nannies for. Ren helps her through bullying and in exchange Brodie says some rather funny things 4 years olds should not know about quite yet. The characters themselves did not astound me though. I enjoyed Ren's music blogging and her music references but besides that nothing really stood out about her and she could come off as bland at times. There were also many characters that I wanted to reach into the book and smack around a bit by the end of the story, which is understandable in the context of this book. My one real critique for this book is that there are actually two crimes happening in the book. This led to a lot of back and forth between storylines. It also made one of the crimes take a back seat and left it rushed and unsatisfying at the end. I wish Alderson had chosen one crime to focus the book around to make it more fully plotted and complete. The Sound is a fast summer contemporary/mystery beach read filled with intrigue, a glimpse into the world of the wealthy, and romance.